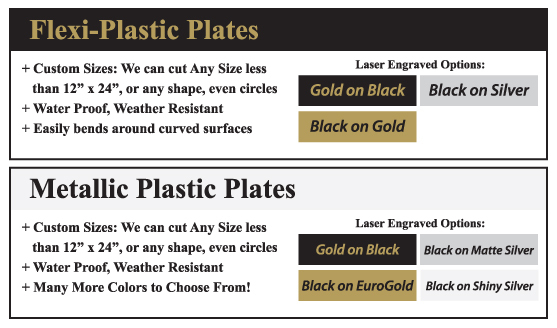 Custom Engraved Plates can be customized by size, material, type of engraving, fonts, notched corners, rounded corners, tape on back, velcro, 2 holes, 4 holes, and more. 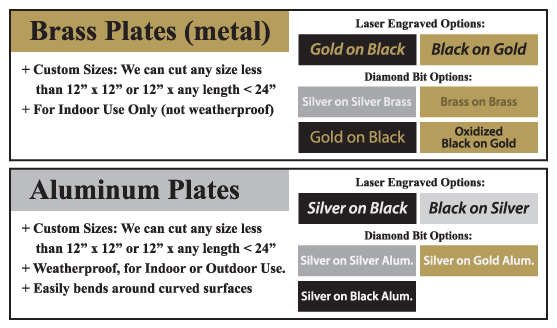 Depending on the material there may be some size limitations on what we can cut in-house but we can special order larger sizes to meet almost any request. If you have any questions please feel free to email or call today. Please Note: material colors and textures are not represented here.